Happy Monday! I adore today’s mani. I am so pleased with this combination that I almost can’t even put it into words. Almost. 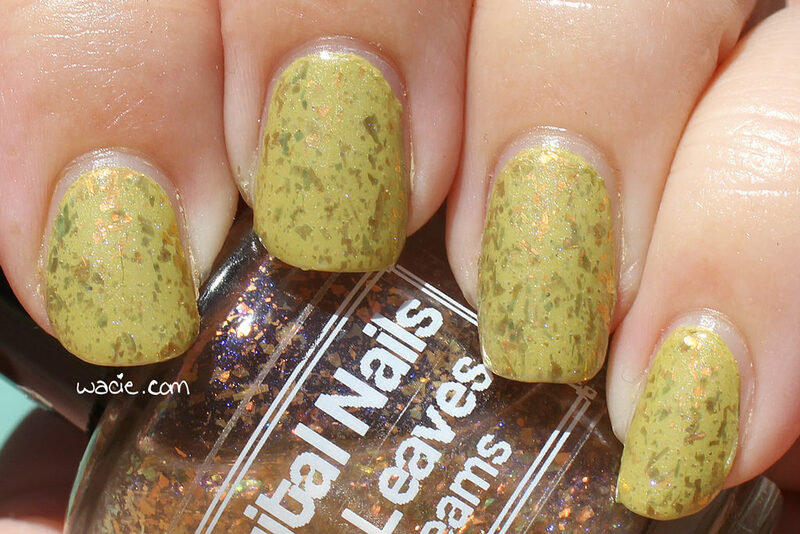 I’m wearing two coats of Digital Nails‘s Crush Leaves Not Dreams over OPI’s Don’t Talk Bach to Me. So let me start with my base color. 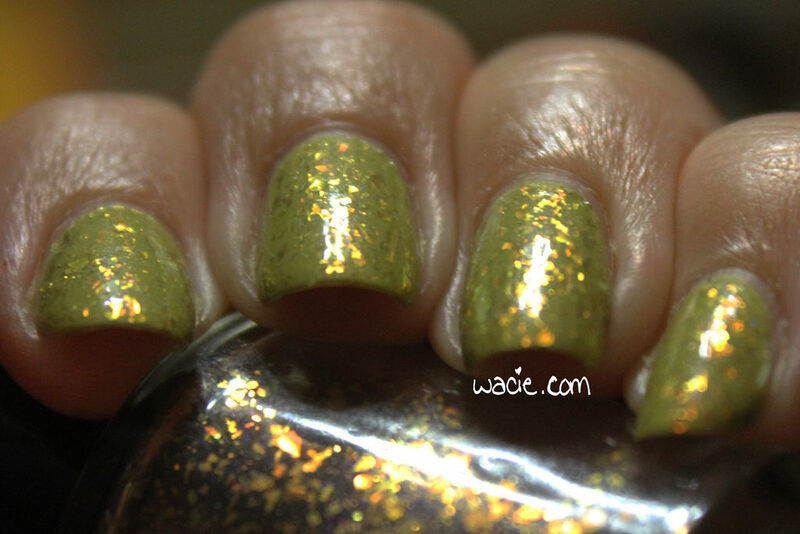 Don’t Talk Bach to Me is a chartreuse creme with a very fine silver shimmer throughout. Several years ago, I was on a quest to find a vintage green color, not unlike the avocado green kitchens of midcentury modern houses. After trying a few and being disappointed, I spotted this one on an endcap at the supermarket and never looked back. I cherish this shade. Crush Leaves Not Dreams is the perfect topper for this base shade. The gold-to-orange shifting flakies complement the warm green, and the fine blue shimmer adds a bit of contrast and sparkle. It would look great over any creme, honestly, but I’m completely impressed with how it works over this one. OPI polishes are sold in stores. Digital Nails is still on hiatus.